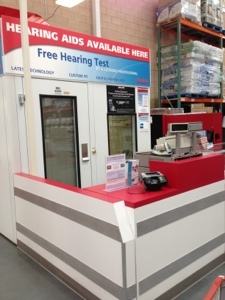 You may have seen the hearing aid station in your Costco and wondered about it. In my Costco, it used to be deserted, but, now, appears to be staffed. Costco's venture into hearing aids came up on the recent (July 11, 2013) earnings call. As a strategy, selling hearing aids is working for Costco. If you don't know any old people, you may have no idea that hearing aids are unbelievably expensive. I'm talking thousands of dollars. With the current baby boomers moving into hearing-loss age, this seems like a perfect growth market, and Costco has figured this out. According to Bloomberg Businessweek on line, Costco is now one of the largest hearing aid retailers, if not the largest. Costco prices are very competitive. Business has grown 24% in each of the last four years, and is on track to grow 19% this year. I had my hearing tested recently (not at Costco) and was told I didn't need a hearing aid, yet. I hope, when I do, I go ahead and get one. The article said people who need a hearing aid usually wait 7 years before they actually buy one. Costco is hoping to close that gap. When I need one, mine will be from Costco.